Grimoire of Service (GoServ) – a level 75 talent choice allowing you to call forth a second demon to fight at your side for a short period of time. This talent has been nerfed again from 30 secs down to 22 secs. I have no idea why it was nerfed other than possibly due to PvP. As I see it, we already have spells very similiar to this by calling in our Infernals or our Doomguards. I hope to see this talent improved upon because calling forth a single Succubus for such a short period of time only to dps is lackluster, especially when compared with the new minion forms by choosing GoSup! Grimoire of Supremacy (GoSup) – a level 75 talent that upgrades all of your former demons to the new ones. These new minions have been buffed from a 15% to a 20% increase in dps and each have their own unique abilities. This talent has good use for both PvP and PvE with the increase in our demon’s dps and with the newer abilities each demon brings to a given situation. I have a strong feeling that most of our warlock brethren will particularly like The Grimoire of Supremacy. The new demon skins, the new animations, and the new minion personalities are exciting. For the next several posts, I’m going to highlight and compare both our old demons and the new Grimoire of Supremacy minions. So for this post, let’s start off with the imps! They’re small, snarky, furry – they have horns, piercings, and a penchant for Fireballs and Felbolts. If you are not familiar with playing a warlock, or if you are a newer reader thinking about playing this wonderful class then here are some of the basics about imps to get you started. Imps are the first minion we get to use as we begin down our path into conjuring the Dark Arts. You can’t completely control your little fury fellow until level ten (10), but he will faithfully fight at your side as you quickly level to your first “ding” in the double digits. At level 10 his pet abilities bar will open up for you to command and control him based on your situations and needs. 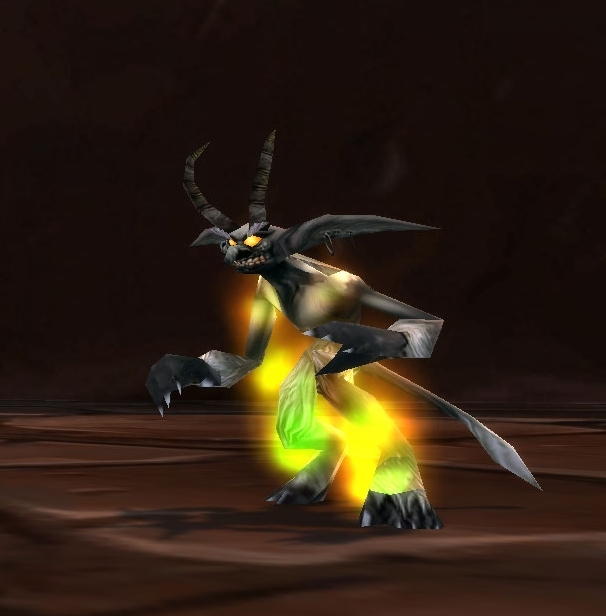 At level 75, if you choose the Grimoire of Supremacy you will be able to “upgrade” your standard Imp to the newer and updated version called the Fel Imp . Cauterize Master (Level 68?) – When casting this spell, the imp deals a small bit of damage directly to their master and then gives them a heal-over-time (HoT). I’ve read that warlocks are suppose to lose the Singe Magic spell for Cauterize Master when choosing the GoSup talent. If used in combo with Flee, Cauterize Master could have a good “Oh Crap” use, or it can be used as a quick supply of health for all three specs, or could be used when an Affliction warlock needs some quick health to convert to mana. What’s strange is that in Beta, I’m still able to use both Singe Magic and Cauterize Master on my spell bars with both the standard imp and when I’m using the Fel imp. I’m not sure if this is a glitch or inentional because I can’t confirm if we’re supposed to lose Singe Magic for Cauterize Master or not. Some of the information trickling down from Blizzard has simply stated that we gain Cauterize Master and the information doesn’t mention what happens with Singe Magic. We shall have to wait see on which way it turns out. 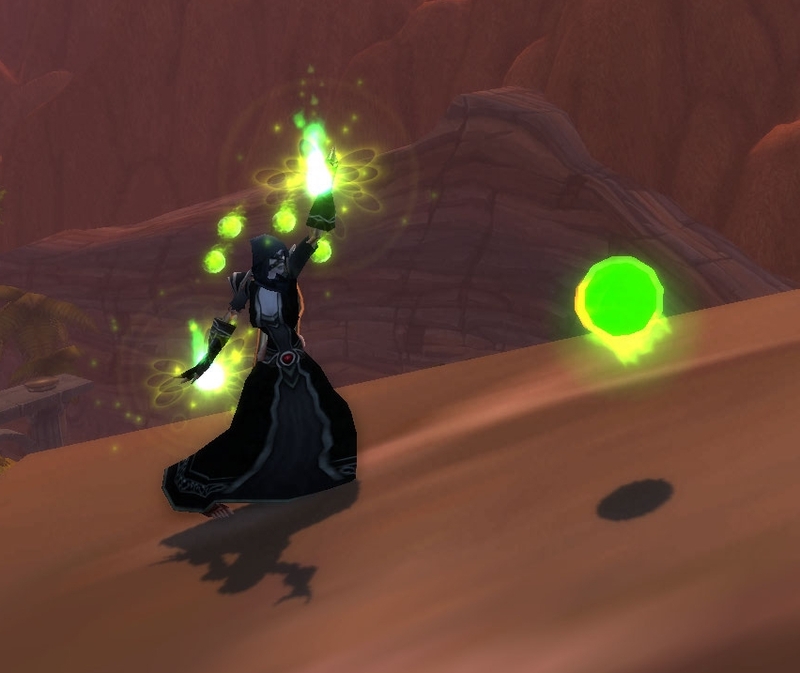 A new addition Blizzard has added for warlocks is the Command Demon spell. While this spell isn’t completely necessary, it does make keybinding easier. The Command Demon spell combines all of the most powerful demon abilities and combines them into one button. Have you ever used an “all-in-one” pet macro? I can imagine many of the older warlocks nodding their heads on that question because I know I did. Well, the Command Demon spell takes the “all-in-one” pet macro’s place. Combining all the hardest hitting pet spells into one button will also make writing any new macros easier. It’s a very straight forward spell with no surprises. You hit the Command Demon button and the minion you are controlling will cast it’s most important spell. Please keep in mind all of this information is still subject to change since MoP is still in Beta. I only add that disclaimer because I’ve written several posts where things were either gone or revamped dramatically in the next Beta build :) If you notice I didn’t put a link for the Fel Hunter’s Spell Lock in the listing for the Command Demon spells it’s because there isn’t one listed in the MoP Wowhead Database atm. To give you an idea of how things change in Beta, several of the spells for our new demons are listed in the database as level 52 and level 56 spells. However, you cannot command any of the new demons or use these spells until you reach level 75 and choose the Grimoire of Supremacy talent. I’m sure as the builds become more stable then the spell information will become more stable as well. Next week, we’ll take a look at our voidwalkers and the new voidlords. Until then, take heart in knowing that our blueberry’s have once again regained their bulwark ability to taunt, tank, and hold aggro. *Sighs* Yes, it’s been too long since they were viable as a tank and you didn’t pull a mob from them while questing. Trust me, I’m sure you’ll be glad to see our relationship with the blueberry’s for tank’em and spank’em solo play coming back. I hope you all have a great week and as always, I send you my best! Interesting post about imps! 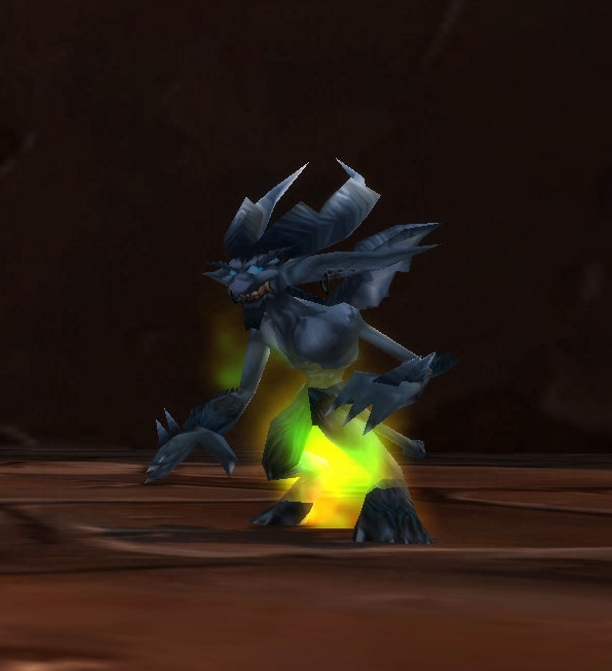 I mostly play as destro on my lock, so I assume imps will still be the main minion for destruction come MoP, too. Grimoire of Supremacy indeed looks more promising than the other two, but I guess we shall see! Thanks for listening! As far as a specific pet per spec it’s still hard to tell since pets have become more situational, but we shall see. There are so many great Podcasts about WoW it’s hard to say where to begin. Here are some suggestions to get you started: The Instance, Convert To Raid, CtrlAltWoW, All Things Azeroth, The Tauren Think Tank, The Dark Moon Herald, Hearthcast, The AFK Podcast, MyEpicHeals, Outdps! The Hunting Party Podcast and of course The Twisted Nether Blogcast since you’re a blogger too :P I’m probably forgetting a few but that’s off the top of my head :). Oooh, great! I’ve been listening to All Things Azeroth & Twisted Nether Blogcast regularly…definitely will have to check out the other ones you mentioned. :D Thanks for the suggestions!